My husband has been banned from flying helicopters or quadcopters in the house, since the 2011 incident where he destroyed one of my pretty things with his erratic flight. Remember? However, earlier this year when we were about to start negotiations for this house I told my husband: if you get me a two story house, then I'll let you fly helicopters in the house again. My husband (with his new MBA intelligence) told me that's what you call incentive alignment. 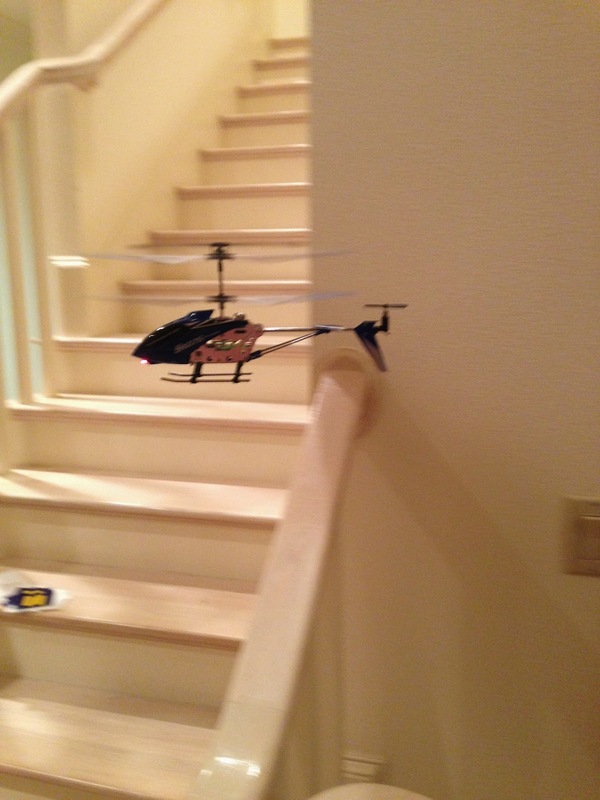 I achieve a childhood dream of living in a two-story house, and he achieves a 2011 dream of once again flying helicopters in the house. Win/win. Of course, I forgot I made this statement. My husband didn't. Oh no. 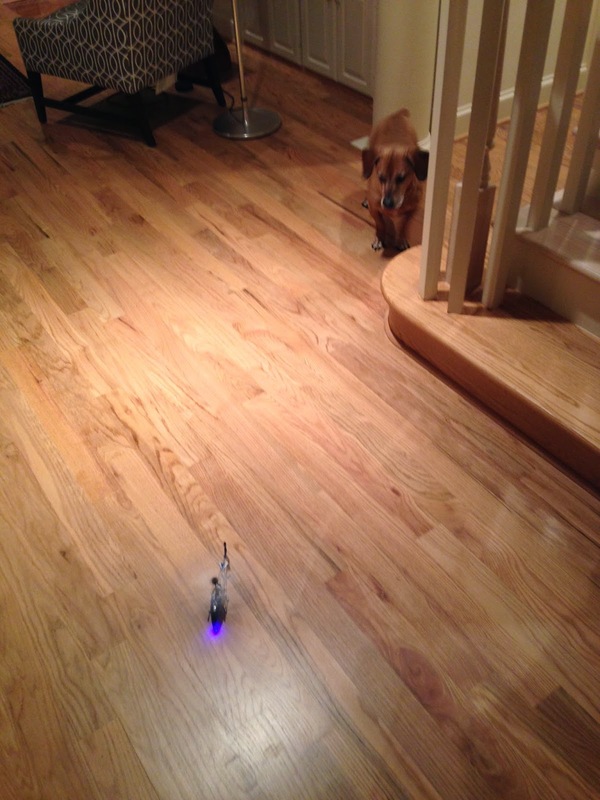 Earlier this week I came home and the helicopters where charging. My husband then informed me that he could fly loops around the second story cat walk. He proved it. It was impressive. My husband is impressive. That is a funny & cute story.